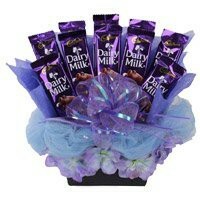 Celebrate those special occasions with fine Indian Chocolates. Celebrate festivals, birthdays, weddings or anniversaries with fine Indian Chocolates and spread love. We have decorated and filled our menu with assorted Indian chocolates to make those special occasions even more pleasant. Browse the wide range of assorted Indian Chocolates Online on our portal and send the most alluring and mouth-watering chocolates to your friends and family. 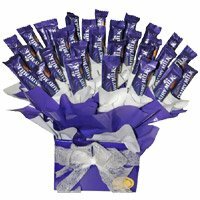 You needn’t worry even if you are living far away from your friends and family; just contact us, buy the desired chocolates and Send Cadbury Chocolates Online to anywhere in India. We are capable of making taking large orders for Indian Chocolates Online and making quick deliveries at the desired address. 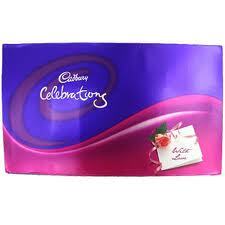 We make sure that with our help you Send Cadbury Chocolates Online to any city of India from any part of the world.